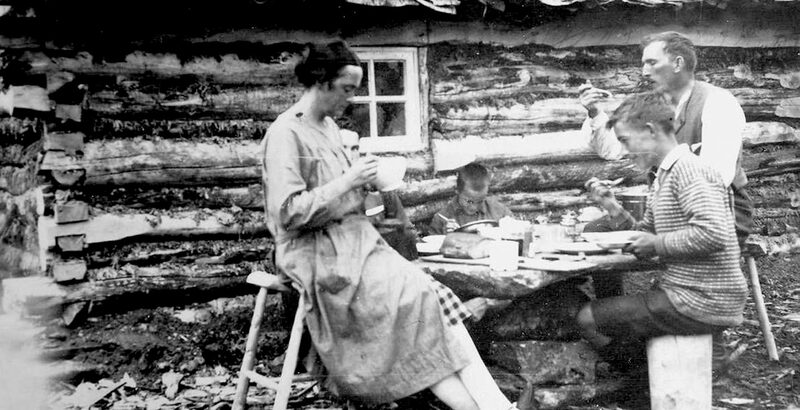 On Reinøya there lived two poor neighboring families. One had six small children, the other five. The men had gone fishing in Finnmark (further north). The wives of the two families, Elise and Jakobine rowed one day to the merchant at the next island – Karlsøy, to get some flour. They had to wait until the merchant had finished his midday rest, before they got their flour and could head home. At that time it was already starting to get dark. After they had rowed a while, there was suddenly a powerful blast of wind. 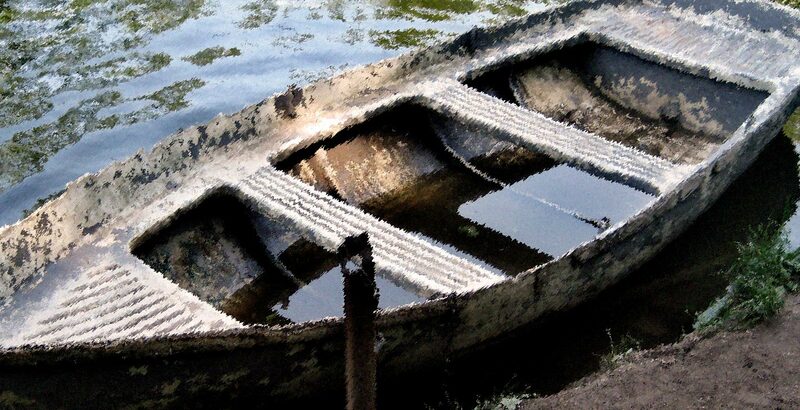 The boat was filled with seawater and one of the rowing thwarts was torn off. They had to return to Karlsøy to repair the boat. When the weather calmed, they set off again. At home the kids were waiting, with no food around. In the middle of the strait of Karlsøy, the bad weather hit again – this time with some snow thrown in. The boat drifted away and stranded at the beach at Karlsøy. Jakobine drowned immediately and Elise was found dead on the shore next day. At home the the children waited all night on their mothers. There was hardly a bread crumb left in their houses. Jakobine’s family counted five children, the youngest less than a year, the oldest only 16. The youngest survived on porridge made by half a cup of flour and half a bottle of milk. The instant distress the accident caused, was remedied by the priest, who sent one of their maids to take care of the house and barn. The children became scattered among neighbours. The priest, the sheriff and the merchant took one child each. There was arranged a fundraising, and the priest took care buying clothes and sewing clothes for the children, while the “poormans chest” (official funds for poor people) provided some food. One of the widowers emigrated 10 years later to America with one of the daughters.